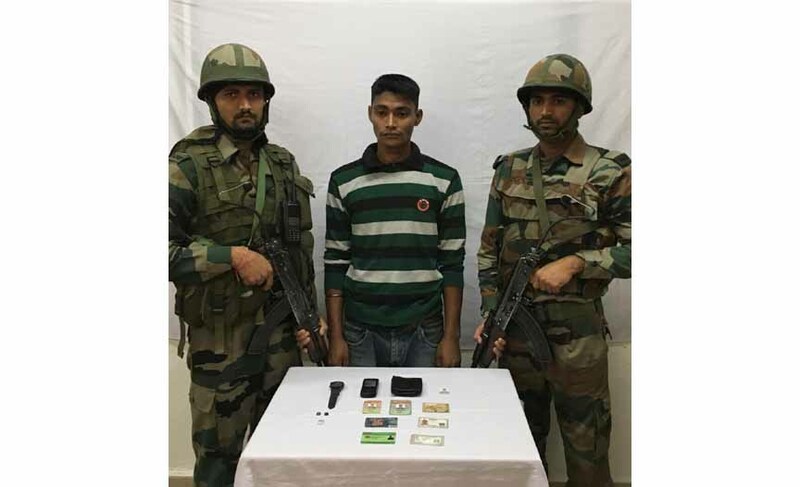 The 9th Battalion of the Rajputana Rifles at Jagun Ghat apprehended one NSCN (K) cadre identified as Cadre Number 26579 self-styled Sergent Major Banhom Hangphuk(32). He is from Phangtip Yatdan village of Changlang district of Arunachal Pradesh. Based on specific intelligence received from local sources regarding presence of NSCN (K) cadre in general area Jagun Ghat, an operation was launched by the 9th Battalion of the Rajputana Rifles at Jagun Ghat on November 6. During the operation the NSCN (K) cadre was apprehended. The apprehended NSCN (K) cadre was handed over to Jagun police station and an FIR was lodged. This operation is part of the ongoing crack down by security forces on the terrorist organization active in Upper Assam where several underground cadres have been neutralized in the past few weeks.